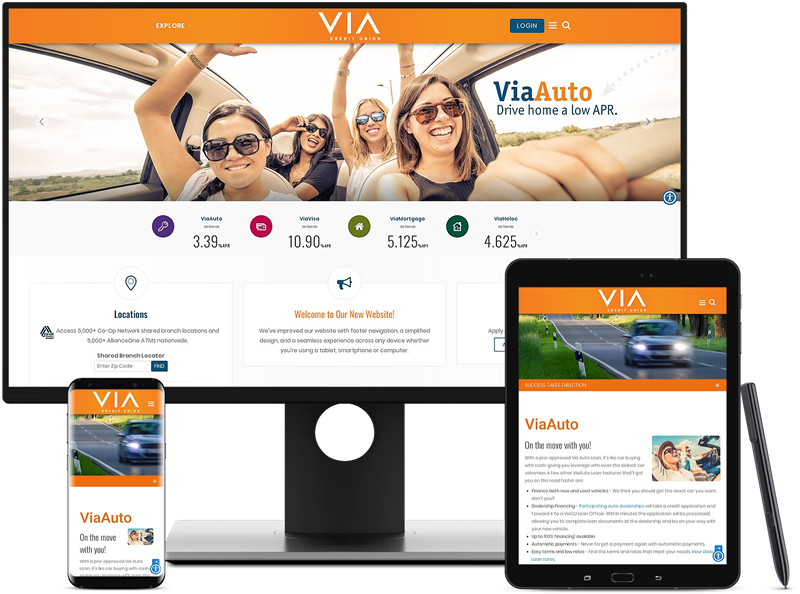 Designed for Via Credit Union in Indiana, this robust and uniquely designed website has everything it needs to meet the needs of the credit union's members, including an ATM and Shared Branch Locator, custom branded Video Player, ADA Accessibility Widget and much more. 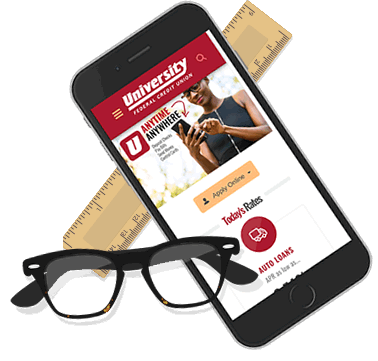 University Federal Credit Union is one of Utah's largest credit unions with over $1 billion in assets and 100,000+ members throughout Utah. The new site features product categories that are elegantly branded to match corresponding member lifestyles. 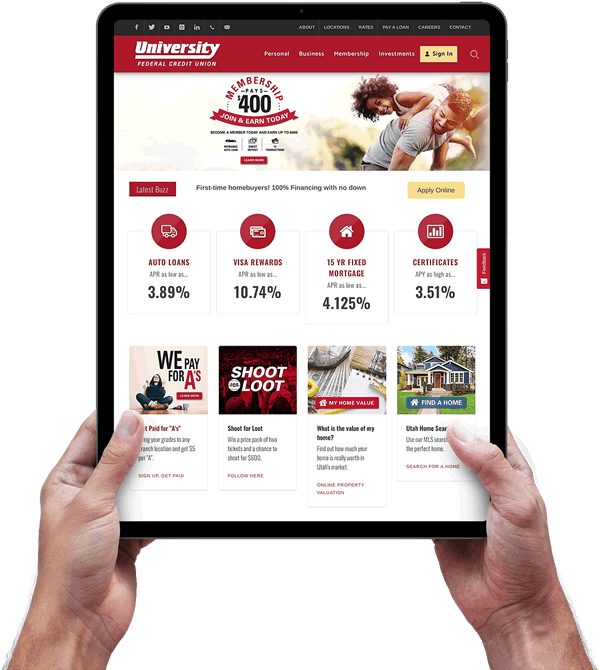 Avtec developed content and tools for the new site including a mortgage center, financial calculators, videos, social media feeds, site search, and an ATM locator. 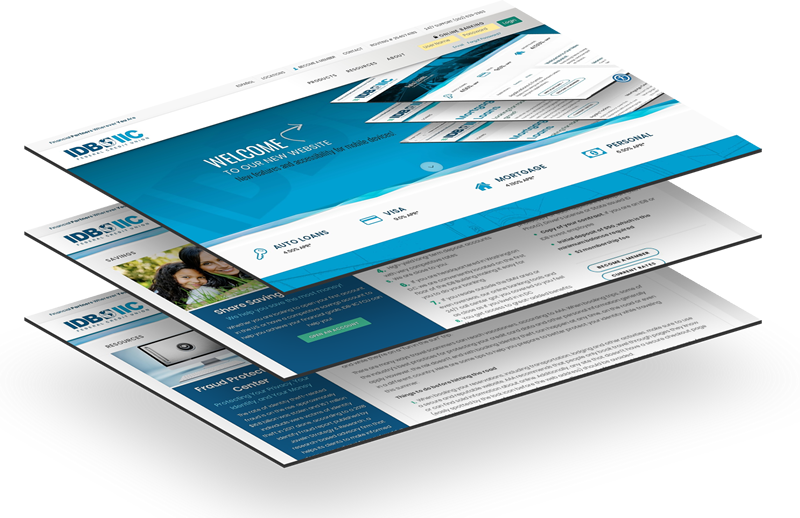 Avtec worked with IDB Global Federal Credit Union through its rebranding effort by redesigning and modernizing its website with a new logo, colors and domain. Avtec also developed a translated version of the site (English/Spanish) to meet the needs of IDB's diverse membership throughout Latin America. Sponsored by the Inter-American Development Bank, IDB Global Federal Credit Union is one of the only international credit unions serving multiple countries.